Pull-on simplicity in a cozy boot inspired by action sports but designed for maximum comfort and protection. 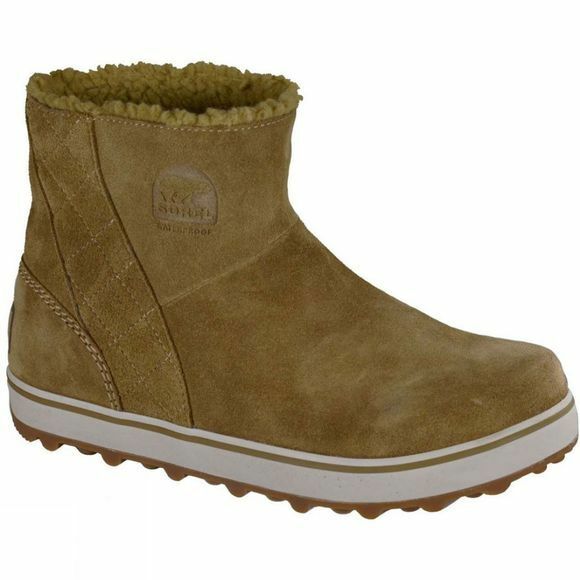 The women's Glacy Short boot from Sorel features a full fleece lining for warmth and waterproof breathable membrane construction to keep feet dry and comfortable. The flat-bottomed outsole invokes skate and snowboard sensibilities and provides incredible traction in the snow.